The message from the departing seniors of North Tahoe’s boys’ soccer team was clear following a 2-0 loss to North Valleys in the semifinals of the Class 3A Northern League tournament on Friday. “Remember this feeling,” said senior after senior during the team’s final huddle of the season. Those departing seniors have continued a strong soccer tradition at North Tahoe, helping the team to not only transfer to Class 3A, but vie for league titles year after year. 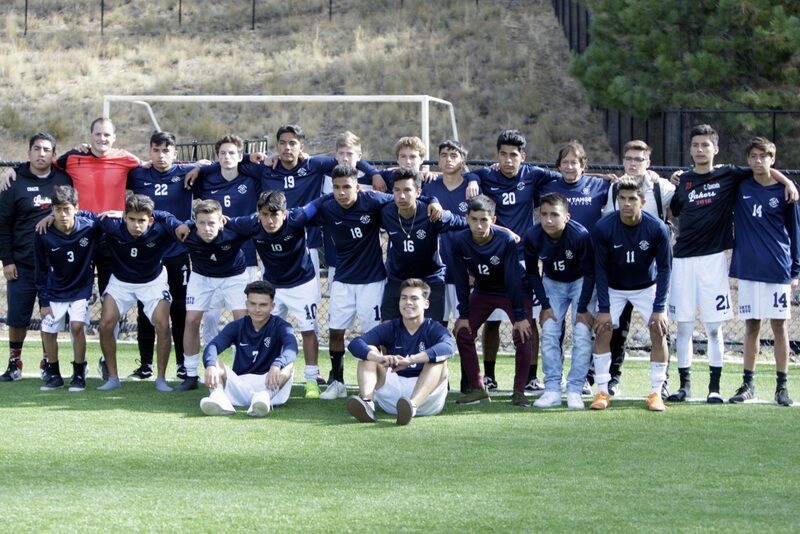 The Lakers’ 2018 campaign ended in the semifinals of the league tournament in South Tahoe, a game shy of qualifying for the program’s first Class 3A state tournament. North Tahoe played top-seeded North Valleys after eliminating Truckee on Thursday, and through 67 minutes, the Lakers managed to stifle one of the best teams in the state. Senior keeper Koby Matttson was terrific throughout the game, making several saves to keep the Lakers in the game. Late in the game with the match still scoreless, Panthers senior Bryan Morales took a corner kick and connected with teammate Adonay Medina, who headed the ball in to put North Valleys up 1-0. “We practiced that almost the whole week, and it worked out,” said Martinez on the play. The Lakers would have several chances at tying the game during the final 10 minutes, but a breakaway goal in the final minutes by senior Gabriel Otzoy put the game on ice for the Panthers. “North Tahoe is a great team — a tough team,” said Martinez. “They play as a team and they’ve got a lot of talent over there. We were very fortunate we came out with a victory today. North Tahoe concludes the season with a 16-7 record and a third-place finish in the Class 3 Northern League A Division standings. The Lakers boys’ soccer team was led by seniors: Mattson, Callejas, Eduardo Munoz, Ricardo Martinez, Danny Sandoval, and Irving Soto.